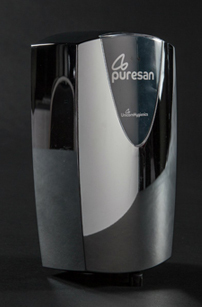 We also supply automatic urinal sanitisers, and our dispensers can be set to timers to suit your requirements, including start and finish times, days on and off and also frequency settings to manage the usage during your busiest periods. If you are running low on sanitiser, we also offer urinal sanitiser refills to keep you topped up and your washrooms smelling fresh. If you’d like to know more about our urinal dispenser services, and if you’re based in Yorkshire or the East Midlands, get in touch with us today. We serve both of these regions from our Sheffield, Leeds and Nottingham branches.